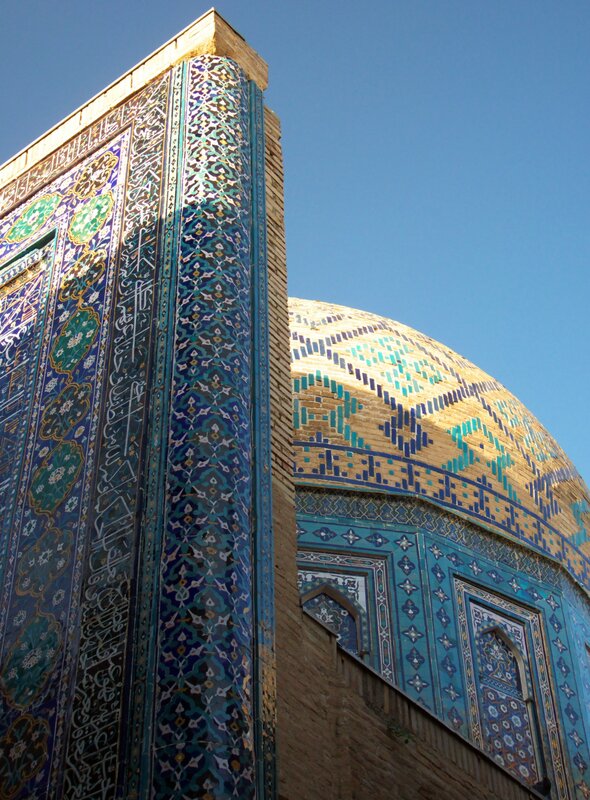 The lapis and turquoise colored Registan of Samarkand historic center is synonymous with the Silk Road. 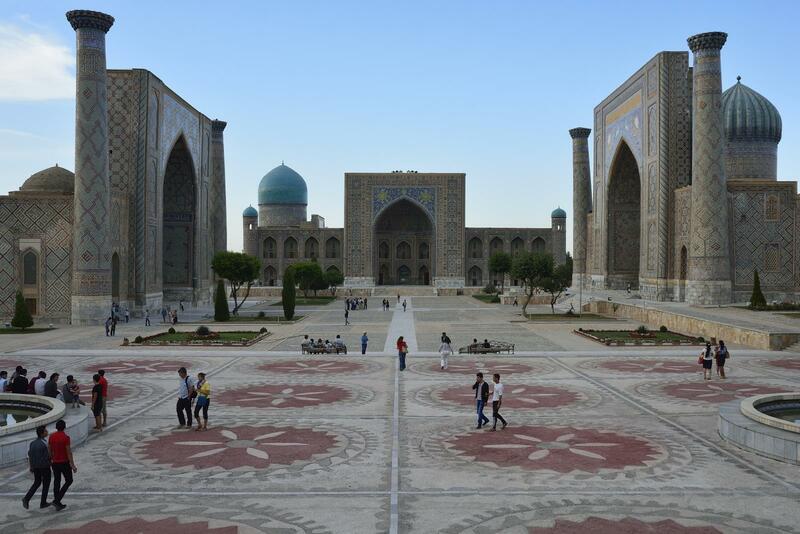 Located at the geographical heart between Changan in China and the eastern fringes of Europe, Samarkand’s position on the Silk Road made it a hub of trade, science, technology and culture. 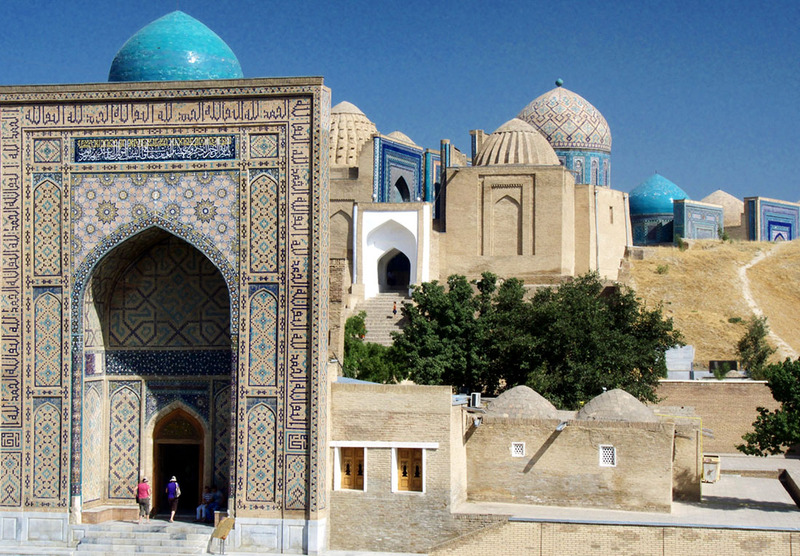 Poets and writers have immortalized Samarkand’s flesh in literature, and with its rich history, labyrinthine streets and Islamic architecture, it’s easy to see why this city has seduced travellers over the centuries. 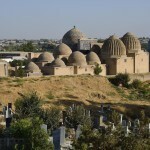 The city center is a UNESCO World Heritage Site. 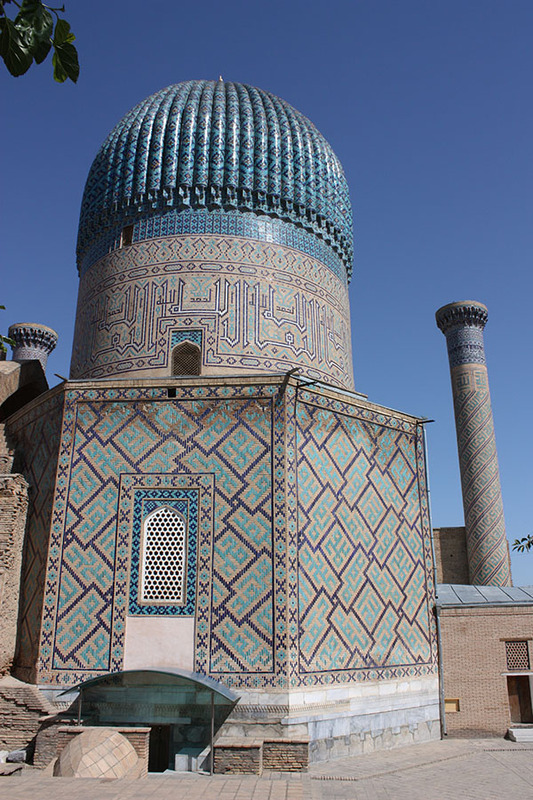 The Registan is an ensemble of mosques and madrasahs tiled with azure mosaics and intricate craftsmanship. This was once the commercial center of the city and the beating heart of Silk Road trade. Shah-i-Zinda means the “Tomb of the Living King” and houses the holy shrine and the grave of Qusam ibn-Abbas, who was the cousin of the Prophet Mohammed. 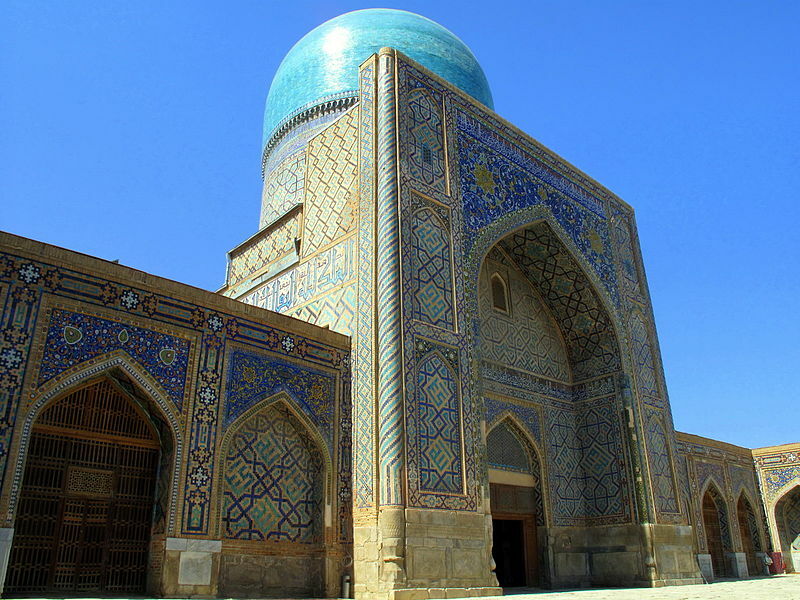 The shrine has held a special place in Samarkand before it was sacked by the Mongols and boasts some of the finest glazed tile work in Central Asia. 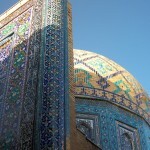 Shah-i-Zinda is still a place of pilgrimage, so treat the shrine with respect when visiting. 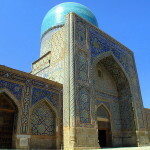 Ulugbek’s Observatory is an archaeological site of the former observatory built in the 1420s. Ulugbek was one of the more famous astronomers, even though he was a ruler he is more remembered for his stargazing. The site of the 30m astrolabe was once three story high. 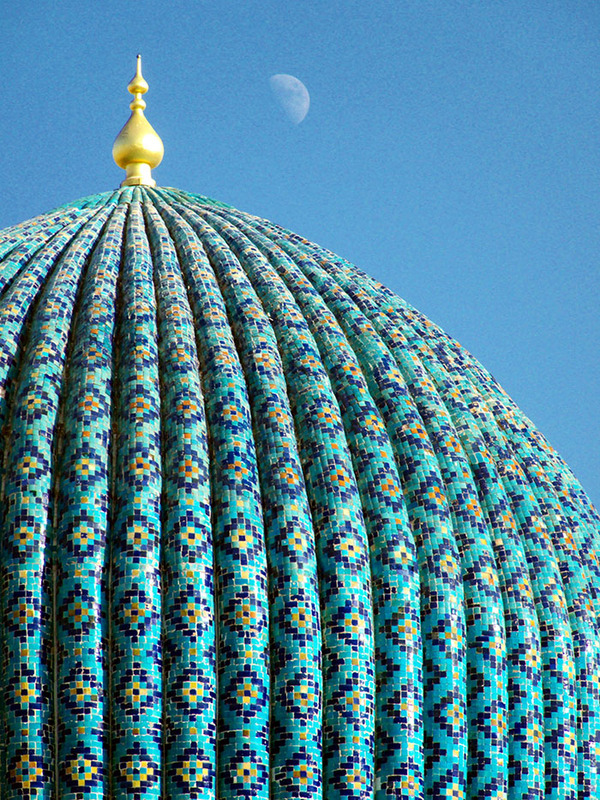 For centuries, Uzbekistan was known for its gastronomy, and is said to house the sweetest fruits and most tender lamb in the world. Historically, Chinese gourmets on the Silk Road praised the city for its sweet peaches and delicious plov and lamb. Samarkand Non is a local flatbread known for its inimitable taste and features. 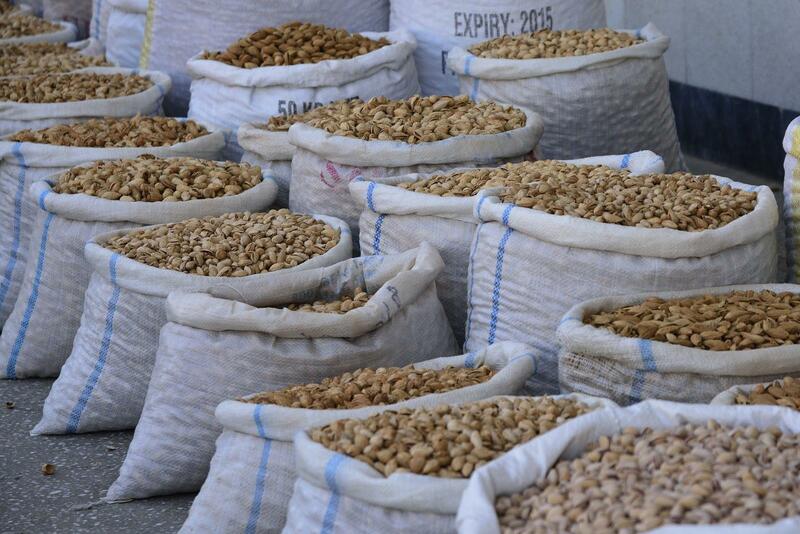 It does not get stale for a long time, and legend has it that it should be eligible for three years. You should sprinkle it with water and warm it in a tandyr (a clay stove). Plov is the signature dish of Uzbekistan, and varies from region to region. 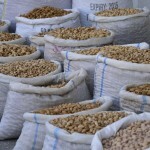 It’s usually prepared for the most important events, and is a rice dish made with meat, spices and vegetables. Wine. 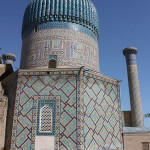 Uzbekistan might not have the international reputation when it comes to wine, but Persian poet Omar Khayam wrote about Samarkand’s praising them for their quality. 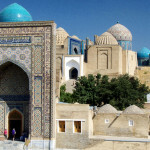 To get the most out of Samarkand, it’s best to stay for two to three days, those passing through should make a beeline to the Registan, the Bibi-Khanym Mosque and Shah-i-Zinda. 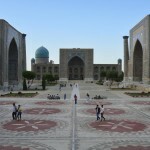 Even though Samarkand is a city in Uzbekistan, you’ll find that the locals don’t speak pure Uzbek, but rather a form of Uzbek that’s been mixed up with Tajik. 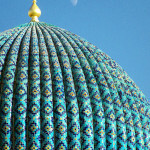 The city is a diverse mix, combining Uzbek people with those of Tajik ethnicity. © 2012 Copyright by Silk Road Society. All rights reserved.